In the jungle, comfort is key. We've made sure Manoas is the ultimate place of rest so you'll have the energy and peace of mind to experience all the adventures that await. Our priority is to provide you the resources, information, and facilities that will guarantee your stay here is memorable and exciting. 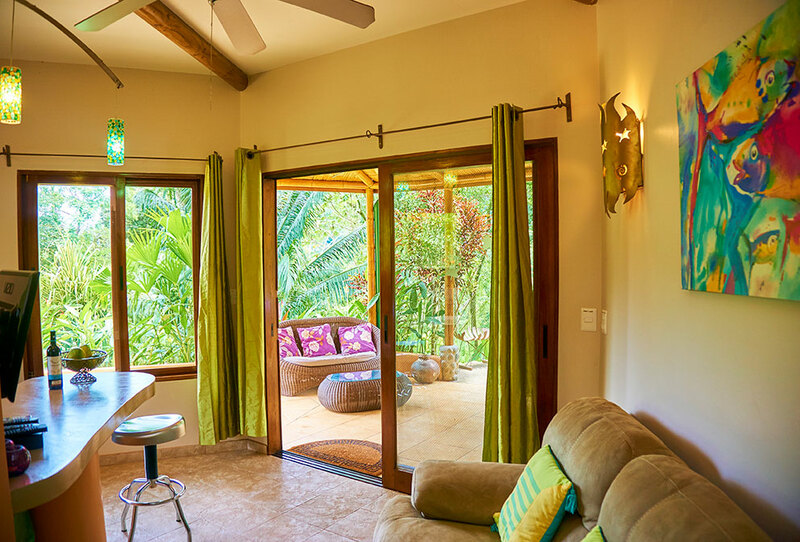 Whether you're looking to unwind on a summit, have a family adventure, or get some work done in tropical luxury — we've got a wide range of elegant, spacious, individually-designed sanctuaries to suit your getaway style. 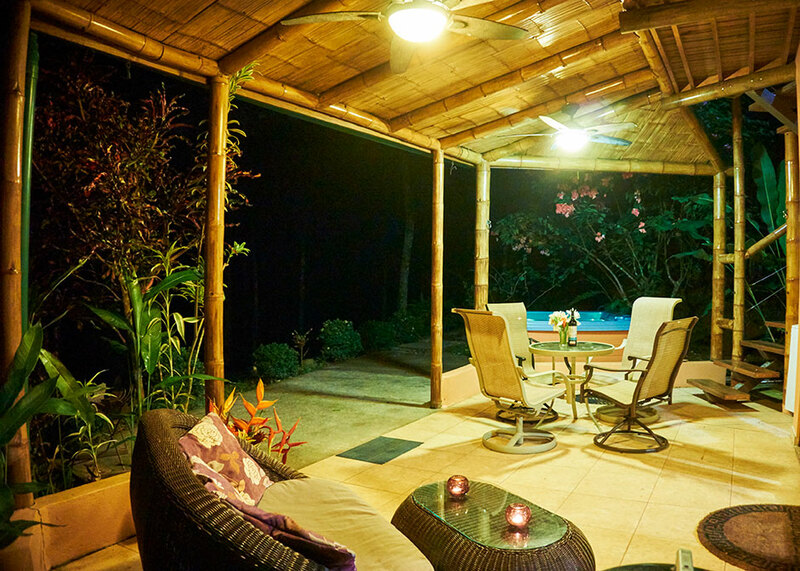 Our luxury camping keeps you close to nature while providing the comfortable amenities found in a home. 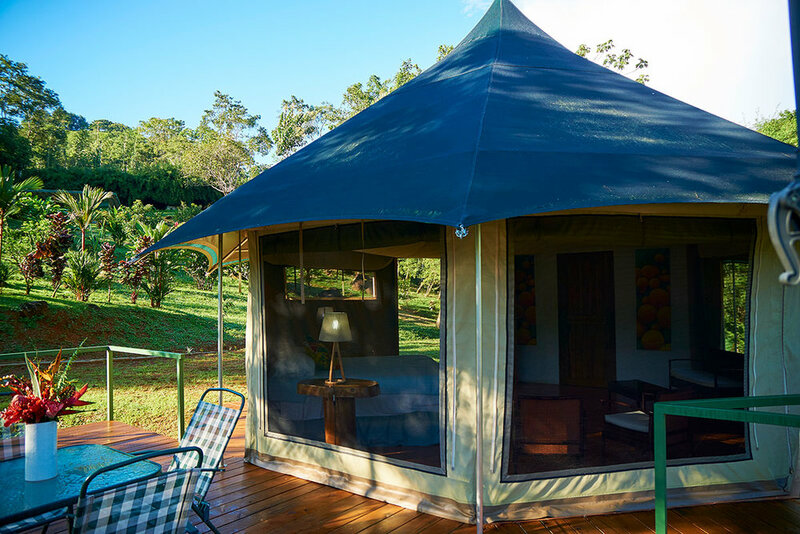 Each tent is equipped with a lush king size bed, full-service bathroom, and enough space to stretch out and relax. The encampment is perched on a ridge overlooking the Ballena river and jungle mountaintops. 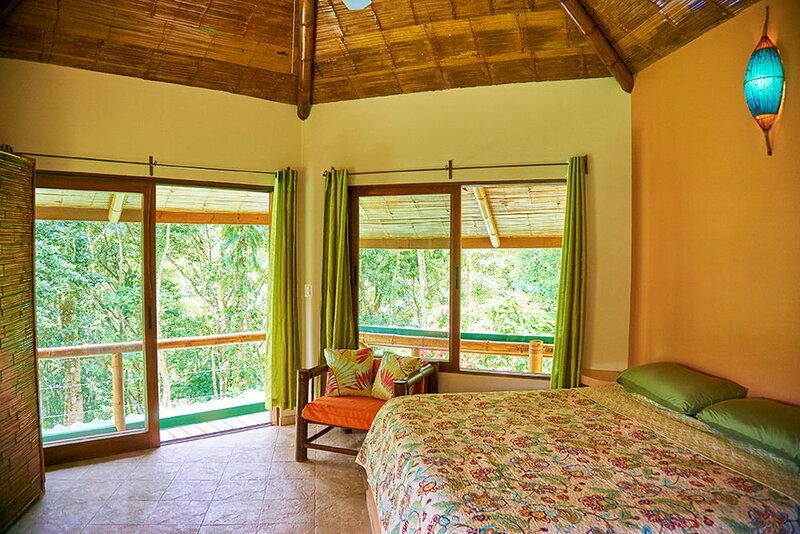 It affords spectacular views of wildlife from exotic birds and ant eaters, to howler monkeys swinging from the trees. Complete each day with a striking sunset and you'll see why our tents are an excellent choice. This is our largest and most luxurious villa. 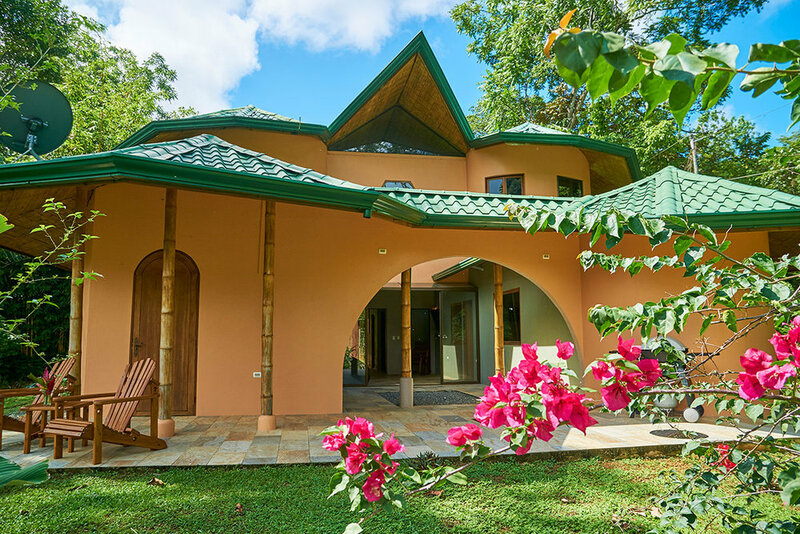 It accommodates up to 10 people making it perfect for company retreats or large groups looking to connect. 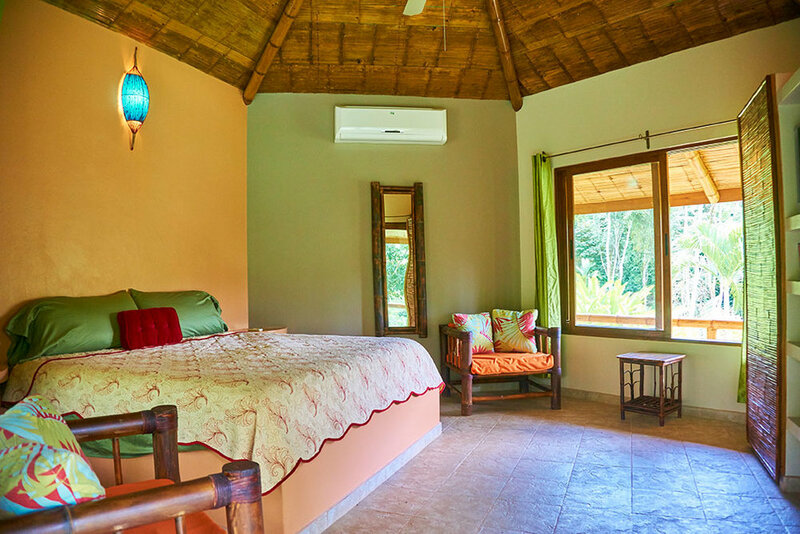 With 4 ensuite bedrooms, Casa Rio gives visitors the privacy they need, as well as the social space to entertain. 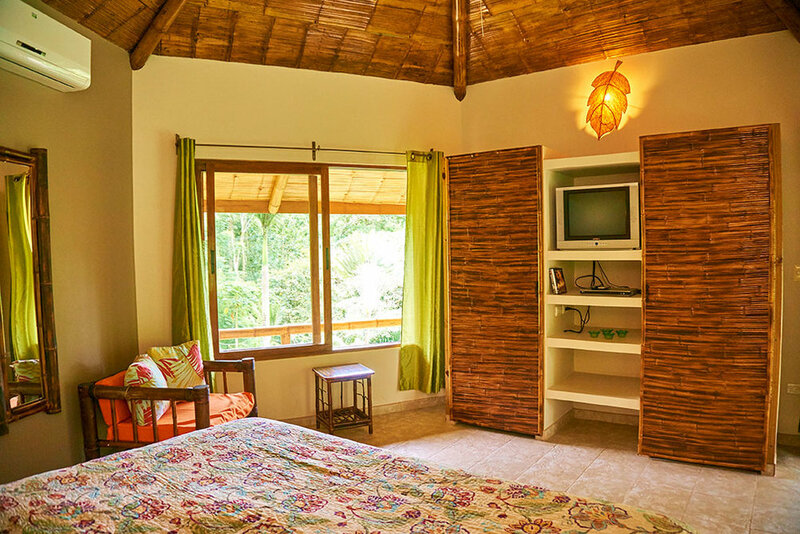 The rooms are cozy, spacious, and fully appointed. The professional kitchen is bright, inviting, and features a wraparound bar that encourages conversation. In the large, open balcony that overlooks the river you'll find space for fresh-air meals, outdoor celebrations, and plush, homey seating. 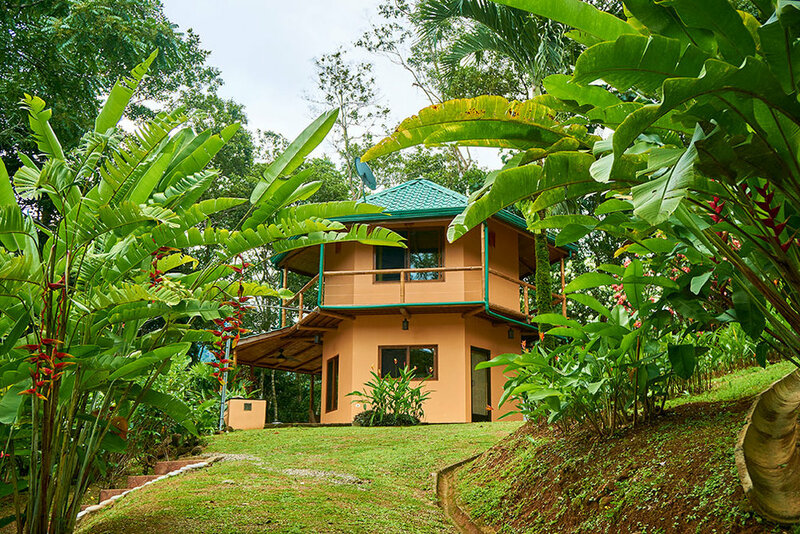 Ideal for families, two couples, or small groups of friends, Casa Heliconia is a two bedroom house with plenty of room to unwind. It's well-suited for celebrations, and the perfect home-base to return to from days of adventure. 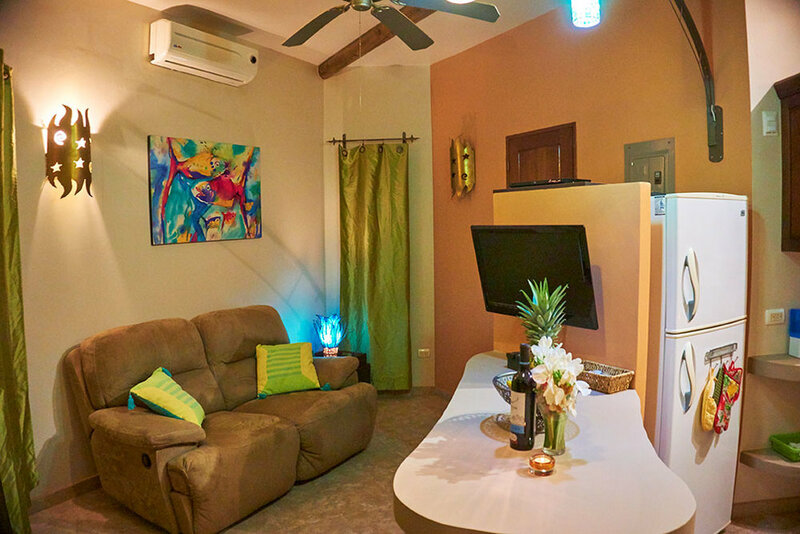 It's equipped with a full kitchen, outdoor lounge, and even a jacuzzi to make sure you don't have to go far to enjoy your time in Uvita. 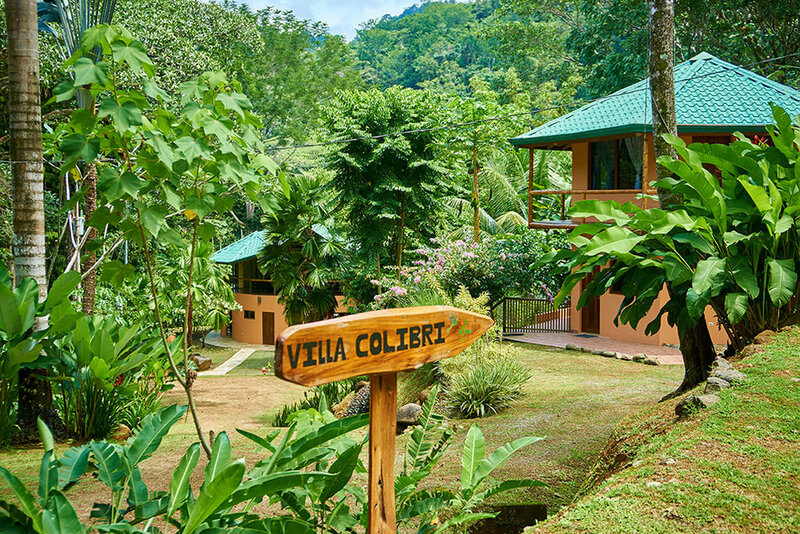 Perched above the river and surrounded by jungle, Villa Colibri is tranquil and enchanting. It's a hidden gem perfect for couples seeking privacy, or artists looking for a peaceful spot to let their creativity flow. 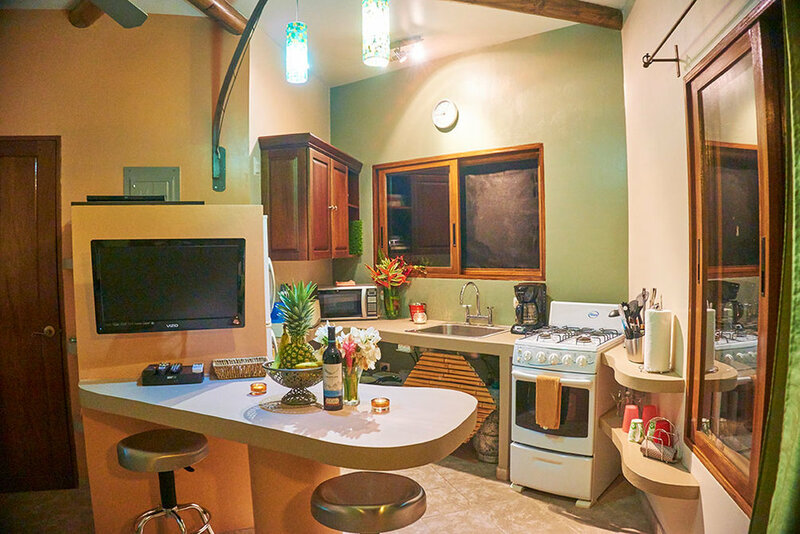 Fully equipped with a kitchen, jacuzzi, and patio lounge, it's an excellent dwelling for fun and leisure.